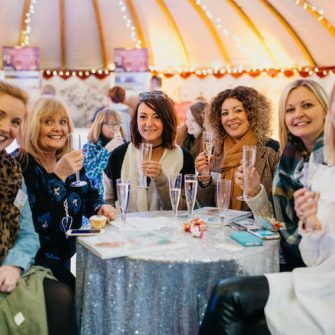 As a bride, it’s easy to get caught up in the frenzy of wedding planning in the lead up to the big day but it is important not to forget your wedding crew! Giving your bridesmaids and groomsmen thank-you gifts isn’t required, however, it will never go unappreciated and no one deserves more of a thank you for all their help than your wedding party. 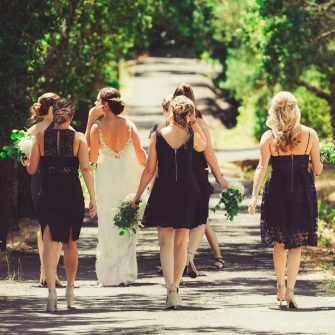 After all, the odds are that your bridesmaids and groomsmen have got to the effort of organising a hen and stag party, as well as dedicating their time to fittings. In honour of their dedication, why not choose a thoughtful gift for your best girls and guys as a thoughtful token of your gratitude. No matter how big or small your budget is, we have gathered some of our favourite ideas for the perfect wedding party present. The best bridesmaid gifts are those that show you’ve put a lot of thought into choosing them. That could mean personalising the item, picking something you know they’ll love or simply choosing cute ‘bestie’ themed items. We love the idea of giving your maids a hamper full of goodies – a basket filled with candles, chocolates, pampering products, mini beauty buys or anything else you know suits their style! You can even get a box with their names inscribed, which doubles up as a cute storage box. 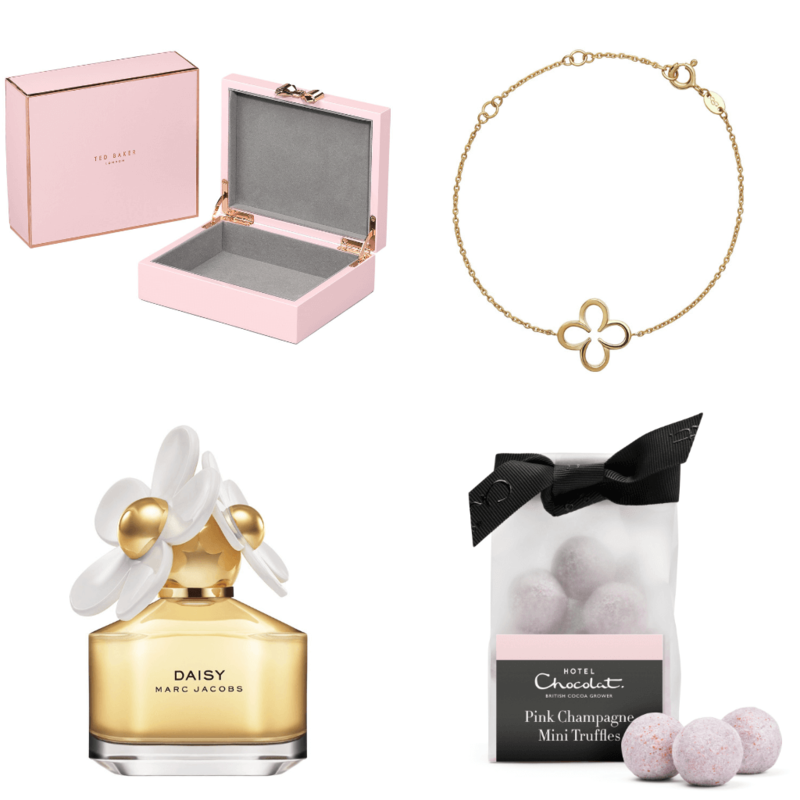 Alternatively, opting for a timeless piece of jewellery, an old-school framed photograph and a bottle of bubbles will definitely have your girls gushing. 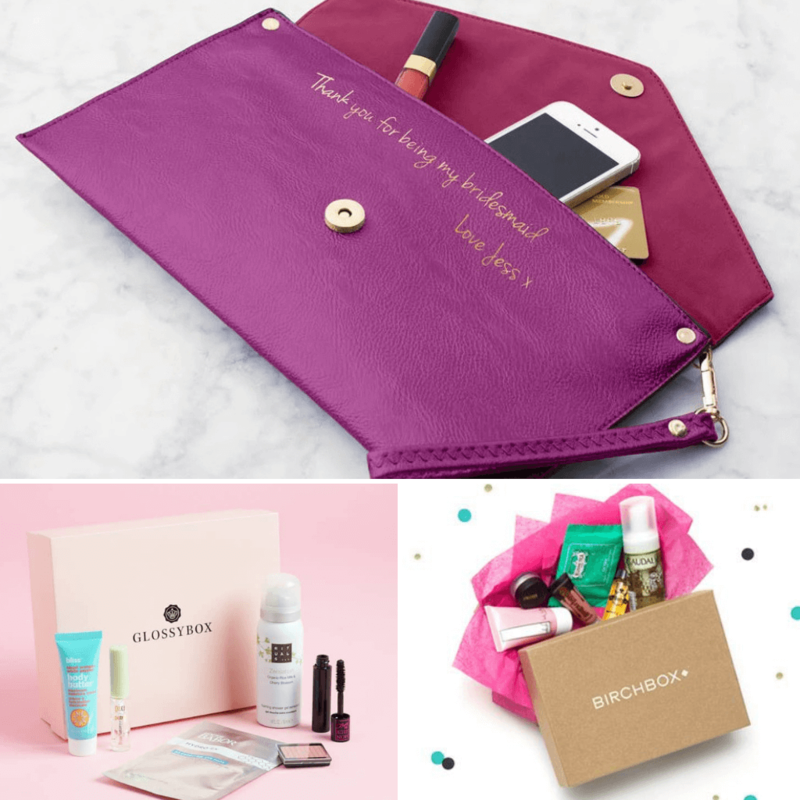 Probably one of our favourite bridesmaid gift ideas, is this personalised clutch bag from Lily Belle; this would be perfect as a make-up bag as well as clutch. We also love the tropical pink colour! Why not try a fun subscription box, this is a gifts that keep on giving. We recommend a fun beauty subscription box like GlossyBox or BirchBox. 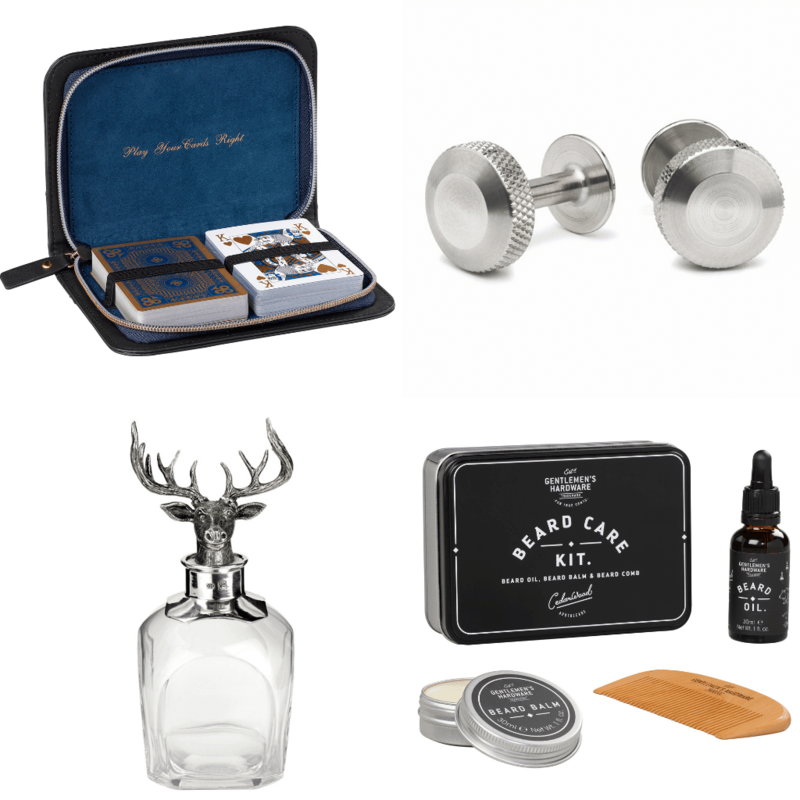 Scoring the perfect presents for your groomsmen means finding a gift they’ll actually use, a gift that is thoughtful and affordable yet unique and practical. Traditionally, the groom buys the gifts for the male wedding party, including his best man, the groomsmen, ushers and in some cases, his father, and the father of the bride, too. Take into consideration their individual personalities, whether you have a friend who loves a game of cards on lads night, a friend who appreciates good music or one that is into their grooming routine, there are a variety of unique and quirky gifts on the market. If you’re still feeling stuck for ideas, you can never really go wrong with a tie, a pair of cuff links, a hip flask or some fun socks. For the groomsmen who loves music, not much could be better than this portable speaker. It is wireless and will allow him to listen to music in his garage, bedroom, office, or anywhere he plugs it in. 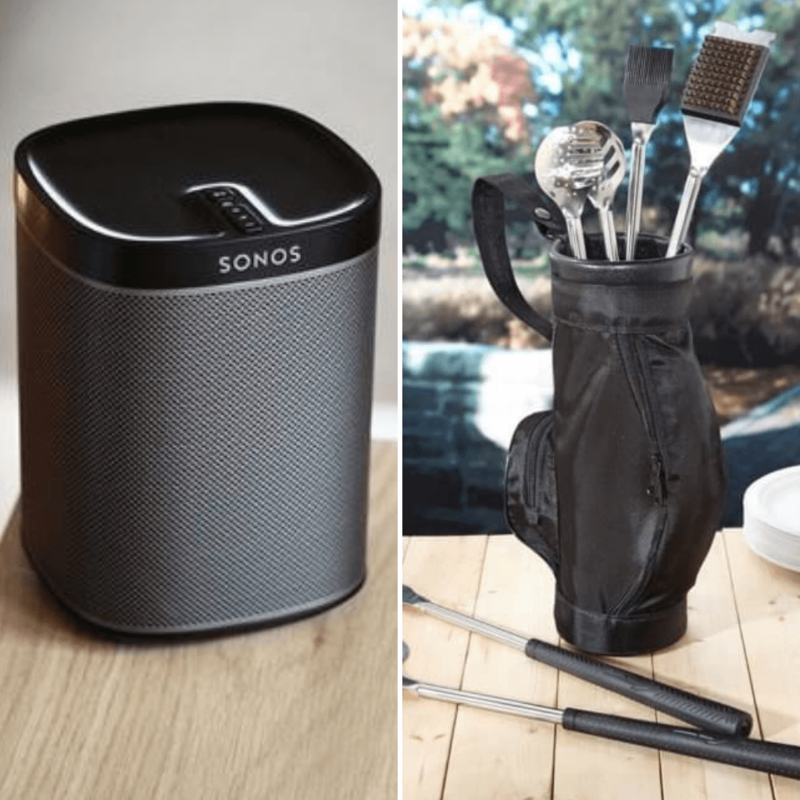 Another fun and alternative gift could be these Grilling Tools with Golf Bag Holder. Replicas of actual clubs, the polished stainless steel finish makes them as shiny as the real thing. The mini golf bag is a nice finishing touch and makes these tools easy to keep together.